She improved her score by a whole point!! She was really nervous for this meet because she had fallen the night before. 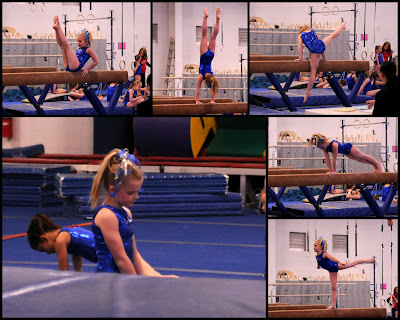 She had a big long bruise across the back of her leg and in the morning she was complaining about it and sure that she would fall on her round off back handspring and break her arm. 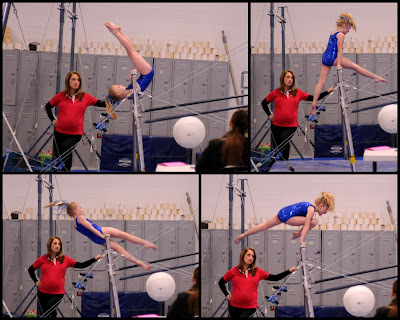 She did, however, fall off the beam during her dismount all the way into the judges table. 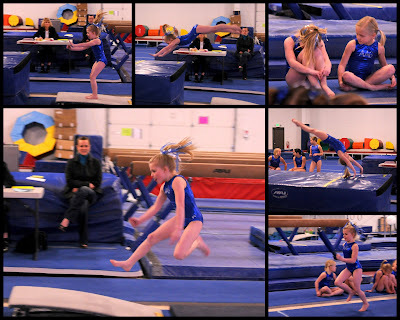 I felt bad that she was so bummed about it, but she pulled through and did a beautiful vault. You may have noticed that pouting picture of her with her vault. That was because she forgot to salute for second vault and went before the judge was ready. 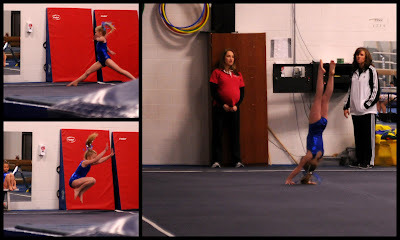 Then after she got to do it again and totally did a rolling vault. We love you, Jade and are so proud of how hard you have been working.